Every human being needs a place to rest his head, especially after a long day of unending lectures and long walks, just like birds go to their nests; sheep to their pens; and the crabs back into their holes. We all need somewhere to retire to after the toiling of each day. The students of Obafemi Awolowo University, like every other living creatures, are not left out in this natural arrangement. Over time, Great Ife students have come to live with the distributional arrangement of the available accommodation (bedspaces) by the university’s management. In what can be called a sharing formula, the residential halls on campus are usually distributed between large numbers of freshmen and final year students, with very small ratio going to the stalites. The acting Vice Chancellor of Obafemi Awolowo University, Professor Anthony Elujoba has today effected some replacement in the University Management. Those coming on board will have to serve for a year and with a slash in their responsibility allowance - they will only have 15% of the allowance. Offices affected include those at the institution's Centre of Distance Learning. The newly appointed heads are Prof. B.J. Olasode reployed Chairman, Security Committee; Mr. Ganiyu Oyebode, Deputy Chairman Security Committee; Prof. H. B. Olaniyi, Director, Centre for Distance Learning; Dr. O. O Akinwunmi, Deputy Director, Centre for Distance Learning; Prof. Muibi Opeloye, Chairman, Board of OAU Investment Company Limited; Dr. Bisi Olowekere, Deputy Chairman, Board of OAU Investment Company Limited. The final results of the students of the Predegree Programme of the Centre of Distance Learning, Obafemi Awolowo University, Ileife for the 2015/2016 Academic session has been released. According to our sources, the results were released earlier today, Wednesday, 10th August, 2016. We wish the concerned students good success as they check their results. The Senate of Obafemi Awolowo University has given until Friday, August 12, 2016 for Heads of Departments (HODs) to send in the results of their 2014/2015 graduating students for approval. In an internal memo by the Deputy Registrar, Mrs M. I. Omosule to HODs; a grace of few days to complete the processing of the graduating students was stipulated. 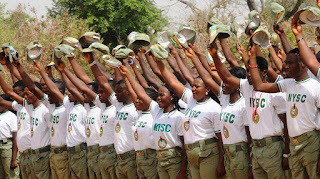 “The University has a grace period of about two weeks to complete the processing of our graduating results to enable us meet the deadline for submission of same to the Division of Student Affairs for NYSC mobilization. “In view of the above, all Heads of Departments are hereby requested to please forward all graduating results to Senate Division for presentation to the Committee of Deans on or before Friday, 12th of August, 2016 for further processing.” the August 8 memo reads. In what may be an expectation met to some, the OAU acting Vice Chancellor, Professor Anthony Elujoba has appointed Dr (Mrs) Grace Oluyemisi Akinola as the new acting Dean of the Division of Student Affairs (DSA), replacing Dr (Mrs) Latefah M. Durosinmi. After a long tenure, Dr Durosinmi has vacated the office of the Acting Dean of the Division of Student Affairs. Durosinmi, whose tenure was filled with it's ups and downs, is said to be leaving office following a lapse in her tenure without renewal. The former Acting Dean's exit is following an earlier change in the Office of the Vice Dean of the Division and more recently an unusual change in the seat of the Vice-Chancellor. 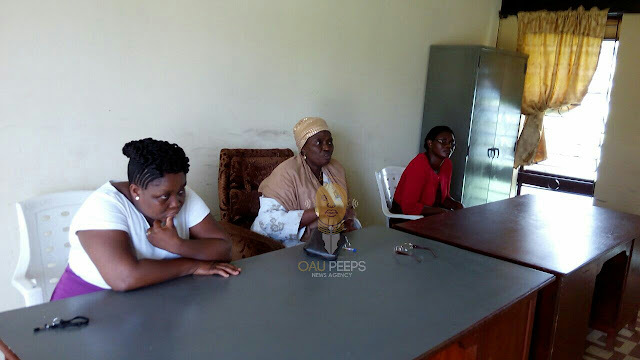 Dr (Mrs) Durosinmi's performance as the acting Dean of the Division has been trailed by many controversies; as while some factions believe "Mama DSA" did not perform her motherly role as such, some others believe some of the faults in her administration might have been beyond her powers. It came as a shock to many on Friday, 5th August, 2016 when news went round that the recently appointed Acting Vice-Chancellor of the Obafemi Awolowo University, Professor Anthony Elujoba, visited the Obafemi Awolowo University Central Mosque during her jumat service. Professor Elujoba, who has been on a spree of positive surprises since his appointment, further added to his visits on Sunday, 7th August, 2016 when he, in the company of some other Officials of the University, visited the Churches in the University Religious Ground. In his visits to the religious institutions, he solicited the support of the institutions and its members in taking OAU back to the path of greatness which it was once upon. 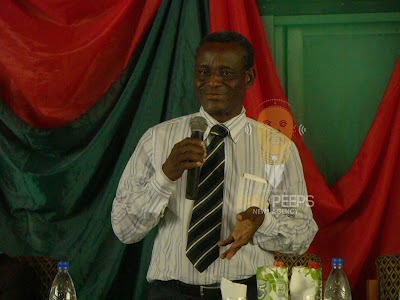 "The Nigerian Association of Microbiology Students (NAMS) Conference 2016 has come and gone, but the memories of it will remain fresh." This was the account of 'Ola, a student of the Department of Microbiology, Obafemi Awolowo University concerning the recently concluded NAMS Conference. The event, which witnessed the gathering of microbiology students from over 15 schools in Nigeria gathering in University of Benin, started on Wednesday, August 3rd and ended Saturday August 6th, 2016. The event also featured many activities; lectures, games, quiz and InterVarsity talk. The first and second day featured lectures by first class microbiologists and lecturers in Nigeria and also a quiz competition. On the third day, the main show which was the anticipated InterVarsity talk started and several schools presented well, digging deep and presenting their facts before the judges and audience but after the turn of the NAMS OAU representative, it became glaring who the winner was. 1. Don’t be Anxious - As a fresh undergraduate, it is expedient for you not to be too anxious in anything you do. Do not let your anxiousness lead to your fall but rather be relaxed and take everything step by step. Being anxious may lead you into doing some unwanted things and also make you lose focus. 2. Be focused - In whatever thing you do let your mind and soul be totally connected to it. Don't be discouraged, destabilized and disturbed, but rather try to attain every set steps of yours with your full concentration. Boluwajaiye Adeoluwa, a 300 level student of the Department of Philosophy and President of the National Association of Philosophy Students (NAPS) OAU has emerged winner in the just concluded Mr Nairaland Contest. Fynestboi, as he is popularly known, won the contest with 394 votes. We at OAU Peeps hereby use this medium to extend our hearty congratulations to Mr Nairaland.